Hey everyone! Sorry I've been so absent from blogging these last 2 weeks. The holiday season really kept me busy and I just didn't have time to update as often as I would have liked to. Here's a quick post on some of my favorite makeup products that I discovered and loved in 2011! I had a lot of favorites so it was reallllly hard for me to choose just a few things! Smooth, pigmented, last all day and beautiful shades to choose from. What more could you ask for? I have a few more reviews and swatches of these blushes coming up in 2012 ;) The color Exposed has been a personal favorite! Here's my post on Amused! 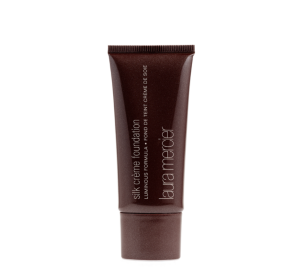 This is just one of the many Laura Mercier products that I love. Silk Creme foundation is an incredible foundation for my skin! Covers incredibly well but looks completely natural. I always wear this for nights when I want my skin to look flawless--this is definitely the foundation I'll be wearing tonight for New Years Eve!! Review to come soon! 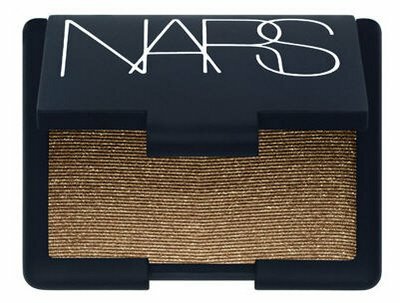 I really fell in love with Nars eyeshadows this year.Of the ones I've tried, they are pigmented, buttery smooth, and rich, unique colors. Here's some posts on Cairo & Ashes to Ashes, Dogon, Galapagos, & Mekong, Habanera, & Nouveau Monde. This is my holy grail everyday foundation. It is more sheer because it is a tinted moisturizer, yet it still manages to even out my skintone, cover imperfections, and last all day on my skin. Most important to me, it is so lightweight and natural looking that it is completely undetectable on the skin (if you have a good match of course!)! I really can't say enough good things about this product! This is the product you will usually find me wearing in many of my FOTD posts! Zoya Nail polishes are one of my favorite discoveries of 2011! I used to bite my nails (gross I know, but a very common habit!) when I was in middle & high school, so it's taken a long time to build my nail strength now that I don't bite them anymore(yay!). Now I really enjoy the upkeep of my nails! Zoya of the many nail polish brands I've tried has my favorite formula and a really incredible color selection. For the most part they can last almost a week without chipping on me! Some of my favorite colors are the pretty ones pictured above from the Smoke & Mirrors Collection! You can see some of my own swatches here: Kelly, Yara, and Blair. I can definitely guarantee you'll see more Zoya posts in 2012!! Revlon Lip Butters only came out about two months ago but they are definitely one of my favorite products of 2011! 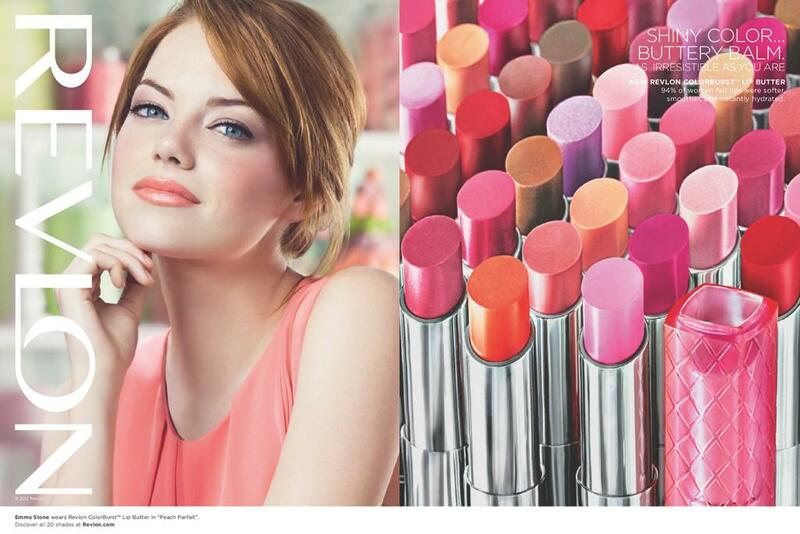 They feel great on the lips, have buildable & pigmented color, and come in some beautiful shades. I have been wearing them allllll the time. Check out some of my swatches here & here! Since those posts I bought a few more of the colors lol! My favorites are: Berry Smoothie, Raspberry Pie, & Red Velvet! This had to make the list! 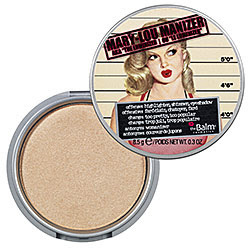 I use Mary-Lou Manizer nearly everyday for a beautiful and flattering cheek highlight! I just love the color, amount of sheen, and soft texture! It's a wonderful highlighter and definitely one to consider looking into!! You can check out my review here! It was tough, but those are some of my favorites for 2011! Some honorable mentions that I also love are: Laura Mercier Secret Camouflauge, Mac Lipsticks (Cyndi, See Sheer, Patisserie), Revlon Super Lustrous Lipsticks (Kiss Me Coral, Cherries in the Snow, Demure), the Mac 226 Blending Brush, Clarisonic Mia, & Nars/Illamasqua Blushes as well!! What were your favorite makeup products of 2011?? What are your new year's resolutions?? Happy New Year!!! See you in 2012 and thanks for being with me in 2011!! I've been on such a Zoya nail polish kick because of all their promos they've been doing lately (check their facebook page!). Today's polish is Zoya Kelly, a rich and creamy gray that mostly leans blue but also has a tiny bit of purple in it as well---it's certainly not your typical grey color! I think Kelly is such a unique color. It's a nice alternative to black if you don't like to wear black on your nails but want to try darker colors. Formula is wonderful and opaque--I applied two thin coats. Zoya is definitely my favorite brand of nail polish--I have some OPI, Sephora by OPI and Essie that I like a lot, but nothing beats the Zoya formula for me. It lasts on my nails longer than any other brand and doesn't chip as fast (for me at least!). What do you think of Zoya Kelly? Do you like wearing darker colors on your nails? Honestly, I should just let the pictures speak for themselves this product is so amazing. This is my first Hourglass product and I am completely in love. This eyeshadow duo is just gorgeous and perfect. I LOVE the packaging!! It is so sleek and beautiful--it's a silvery-brown pewter color and has a mirror on the top that swivels so you can open it by sliding it over or lifting it like a typical eyeshadow case. With all my makeup I definitely care more about the eyeshadows inside than the packaging, but I am definitely impressed with how elegant this looks! It also comes with a little brush but I haven't tried it as I prefer to use the makeup brushes I already have! 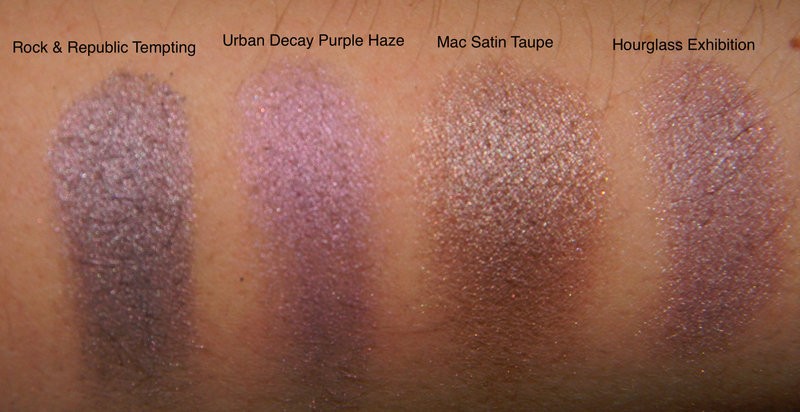 Hourglass calls the colors: "mauve shimmer" and "eggplant shimmer." The left side is a shimmery light pink/mauve/taupe while the right side is the most stunning, shimmery purple eggplant. I think these colors are perfect together and SO flattering. The texture is pure butter. They are so soft and smooth and they blend beautifully. These are definitely one of the best textures in eyeshadow that I've come across (I haven't tried every single brand obviously, but these are really lovely). I'm so impressed and overwhelmed by the texture and pigmentation, wow. One swipe is just..yeah.wow. R&R Tempting is much more grey-purple and doesn't have any pink undertones like Exhibition. Urban Decay Purple Haze is the most similar but is definitely more of a bright purple. 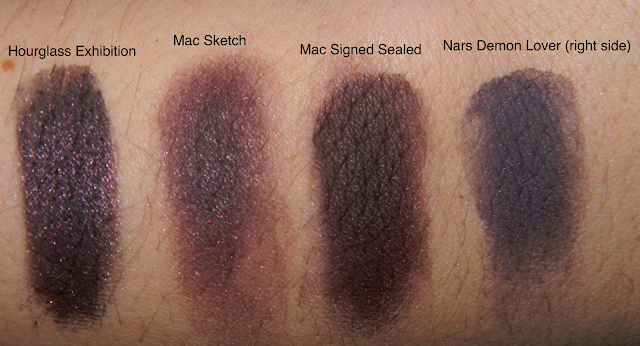 Mac Satin Taupe is not really that similar since it's more of a brown/grey taupe. Mac Sketch is not nearly has dark and has more red tones to it than Exhibition. Mac Signed Sealed is most similar except that it is a matte texture and does not have as much dimension as Exhibition does because of it's lack of shimmer. Still love this color a lot though! Nars Demon Lover is not as plum and is more cool toned. This duo is just completely gorgeous and I can see it looking good on anyone. Honestly. It's just beautiful. I believe it retails for $38 at Sephora, however I bought it with 20% off. It's definitely expensive if you pay for it full priced, but you get a ton of product (I think .10 oz per eyeshadow) and on sale or not, the quality is amazing and worth it. 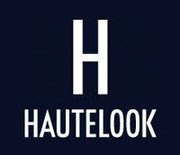 What do you think of Exhibition Eyeshadow duo and Hourglass cosmetics?? I'm curious to try more products from Hourglass because the quality of this eyeshadow is incredible! Here’s a hair post to interrupt my constant talk about makeup haha!! Hopefully you’ll be interested! A couple of weeks ago I was contacted by Brian of Misikko and he asked if I would like to try out and review one of their most popular products: the HANAair Professional Hair Dryer. After doing a bit of research on the product and the company, I agreed to review it. Beautifully packaged...and they were very generous including extra goodies! By the way that little bottle next to the hair dryer is the HANAair shine shield therapy. Here's my superfast mini review of it before I talk about the hair dryer: I am absolutely in LOVE with that product. I put a little bit in my hair while it's damp and it makes my hair incredibly shiny and soft, no matter if I blow dry it or air dry it. A lot of people love Chi Silk Infusion, but that always left my hair feeling kinda oily and it never really did anything special to my hair. This stuff is wonderful--I love the way my hair smells and feels after using it! I am seriously impressed with this hair dryer. I have very long, thick, wavy hair that normally takes a very long time to blow dry or diffuse it...and even after my hair is still quite frizzy and full of flyaways. I usually never leave my house with completely dry hair because it just takes way too long to dry it completely. This hair dryer has completely changed that: it literally takes me 8 minutes (I actually timed it!lol!) to blow dry my hair completely with the HANAair hair dryer versus the 30 minutes it took with my old dryer (I used a Conair hair dryer before!). My hair feels very smooth and is full of volume--which is very hard to achieve with long hair like mine! -Weight: my arm was not falling off from the weight of it despite how powerful it is! -It's not super loud! lol!! It's actually kind of quiet. I'm pretty shocked because the air output is so strong--you'd think it would need to make a lot of noise to achieve that. -Heat Settings: Even the hottest setting isn't too hot--I've never even come close to burning myself. At first I was a bit concerned because I thought it wouldn't dry my hair fast---how very wrong I was!! -Lastly, some more features that I love (taken from the website). I don't know much about hair dryer technology, but based on their claims, it sounds like this dryer uses technology that is not terribly harsh on your hair and is sturdily designed! The only bad thing about this hair dryer (in my opinion) is the price. It is pretty expensive and definitely an investment. I definitely consider myself to be a frugal person and even though it is sale for $194.99, I still think that's a high price to swallow. One other con is that the hair dryer comes with a nozzle attachment but no diffuser for the curly haired ladies!! For the price I really think it should come with that attachment. I still need to find a diffuser that matches this hair dryer! So in the end, I really do think that the HANAair professional blow dryer is a wonderful product. The price is very high but it really does yield fantastic results. If you have the money, go for it! It's a solid investment if you use a hair dryer often. If this hair dryer lasts me longer than all my little cheapie hair dryers I've had to replace over the years, then it is definitely worth it!! Also, if you blowdry your hair a lot and find yourself spending a ton of time on it (like I used to! ), you might want to think about investing in a professional hair dryer--I didn't believe it would make such a huge dfference, but it really cut down on my drying time. Wow, this ended up being such a long post!! Hope you're still with me! Also, if you're considering a Misikko order, definitely make sure to check RetailMeNot for any available coupon codes! Are you happy with the hair dryers or hair products that you use now? What do you think of HANAair's? Disclaimer: The product was sent to me by Misikko to review for free. I am not affiliated with Misikko or HANA, nor am I paid at all to endorse their products. My views are completely honest and influenced by my personal experience only.